The London stretch of the River Thames has it’s fair share of iconic landmarks, it’s no wonder it’s a popular hotspot for film makers in addition to the millions of tourists that flock to the area every year. The Thames Path weaves its way along the banks of the Thames on both the north and south sides, and is a great way to see all the highlights en-route. 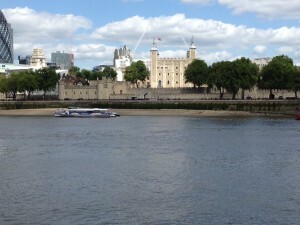 We’re looking along the Southbank at some Thames Path filming highlights that can be seen along the way. Our trail starts off by arriving at Bermondsey station on the Jubilee Line. From here we weave our way up towards the Thames path to start off on the trail at the Bermondsey Wall Walk. 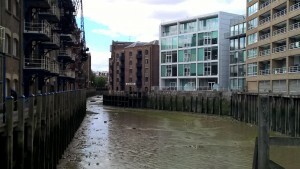 It’s at the water inlet here, with the surrounding wharf buildings, where we find our first filming location. The third instalment, with Pierce Brosnan as James Bond in The World is not Enough, opens with an electrifying boat chase along the River Thames. At this point the boat chase veers off from the river, passing past these Wharf buildings – Java Wharf (seen to the centre of this photo) is clearly visible in shot (although the water was a little higher!). 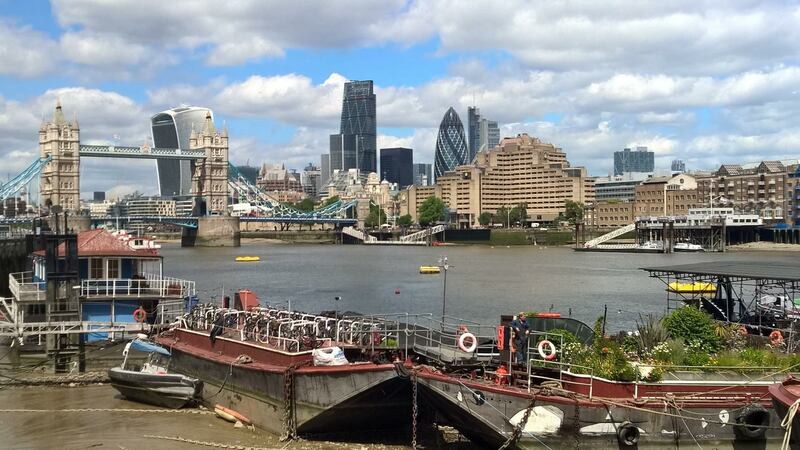 After admiring this and the great views of Tower Bridge (see our feature image) follow the Thames Path further towards the bridge, passing under until you arrive outside City Hall. From here you get not only a great view of Tower Bridge, but also across to the Tower of London. Three recent films that have used the riverside stretch in front of the Tower of London; Night at the Museum 3 saw Ben Stiller’s character Larry talking to his son Nick when they first arrived in London about his future plans whist walking outside the Tower. Kermit the Frog et al are seen gathering outside the Tower in Muppets Most Wanted before several scenes see them within the grounds of the Tower. The small stretch of sand in front of Traitors Gate (which can be seen tide permitting) is where David Tennant’s character in St Trinian’s: The Legend of Fritton’s Gold is seen emerging from the river at the end of the film. After viewing these, following the Thames Path you will walk under London Bridge passing along Tooley Street and out onto Montague Close. The first stop on this stretch of the Thames Path is the moored replica of Sir Francis Drake’s the Golden Hinde galleon. It was on this ship that the students of St Trinians are seen on towards the end of St Trinians: The Legend of Fritton’s Gold. For the historically minded or anyone wanting to play at the nautical life for an hour or two, a small entry fee will get you on board the Tudor ship on most days. At this point, if you fancy spending a little more time in this area, head south to Borough Market where you can see filming locations of Bridget Jones and Harry Potter. You can read about this in our London Markets post. The path following the Golden Hinde takes you down Clink Street where you can also visit The Clink Prison Museum. A prison which dates from the 12 century until it was burnt down in 1780 and its name has become synonymous with the common prison term ‘in the clink’. Whilst walking down this street you will see the exterior of Daniel Cleaver’s flat in Bridget Jones’s Diary. Continuing along the path we come back to walking along side the river, and on the left you will another iconic landmark, Shakespeare’s Globe Theatre. The Globe has been used in various films and television shows; Rupert Everett as Camilla Fritton does a rather sterling performance as Juliet on the stage here in St Trinian’s: The Legend of Fritton’s Gold. Plus David Tennant as Doctor Who is seen battling alien forces in The Shakespeare Code. Moving further west along the path we come to the Millennium Bridge and The Tate Modern, which have both been seen in recent films. The Millennium Bridge has seen screen time in St Trinian’s: The Legend of Fritton’s Gold, where a mass of students are seen running over after completing their flashmob dance at London Liverpool Street station nearby. The bridge can also be seen in Harry Potter and The Half Blood Prince (albeit with a lot of CGI support) where it is the focus of a death-eater attack at the beginning of the film. The Tate Modern cafe has been seen in Bridget Jones’s Diary, where Bridget is seen dining with her friends. Keep walking along the path towards Waterloo Bridge to continue the journey, but before you get there why not stop off in the BFI to keep up with the movie day out experience! They’ve got a busy film screening schedule, shop, bar and cafe, which means you can even stop for snacks without breaking the film theme if you want. Our last part of the trail starts at Waterloo Bridge and has a large James Bond focus. 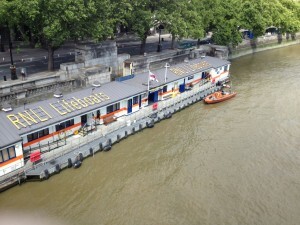 Looking across the river next to Waterloo Bridge you will see an RNLI lifeboat station. 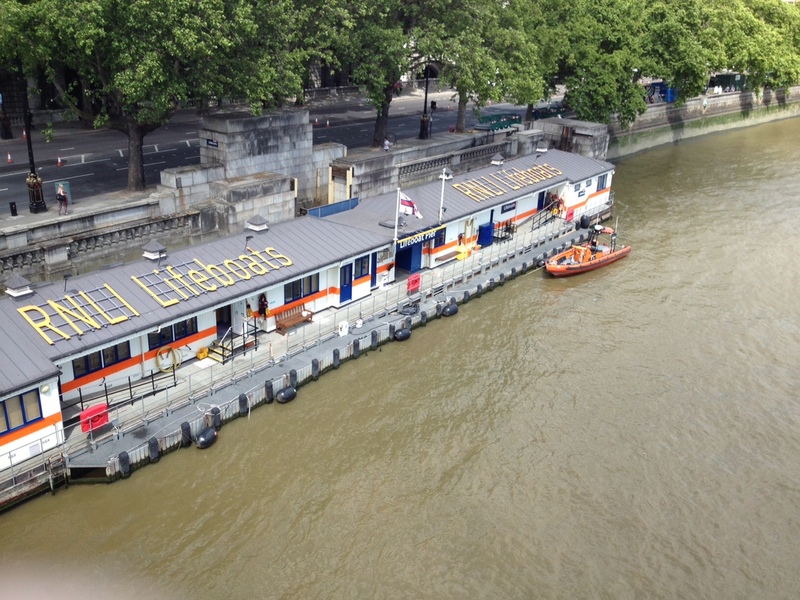 It was this lifeboat station that had a jetty attached to it that was destroyed by the boats in the opening chase sequence in The World is Not Enough. Continue along the path, past The Southbank Centre, Jubilee Gardens and of course the London Eye you come to Westminster Bridge. 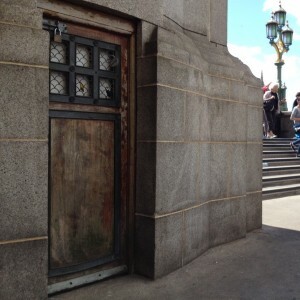 Just to the left of the path up to the bridge itself you will see a small door. It is this door that Pierce Brosnan is seen entering in Die Another Day to get to the abandoned tube station, which is being used as Q’s workshop. Westminster Bridge can be seen in many productions, such as Doctor Who, St Trinians and the also is seen at the start of the Bond boat chase. It can even be seen in animation form in Cars 2! Carry on along the path until you come to to the next bridge, Lambeth Bridge. Harry Potter fans will recognise this bridge as the one where the Knight Bus can be seen squeezing between two passing double decker buses whilst it transports Harry to the Leaky Cauldron. The last stop on the trail is the next bridge from where you can see the iconic MI6 headquarters which has featured frequently in many of the James Bond movies. And that’s it, you’ve completed your Thames Path Filming Location Trail of Southbank!